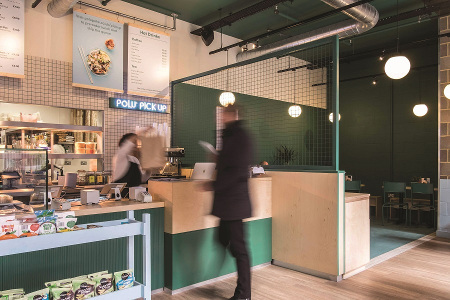 Designed to mirror that of a simple street food pop-up, Polu Poke find new permanent location for their first restaurant. 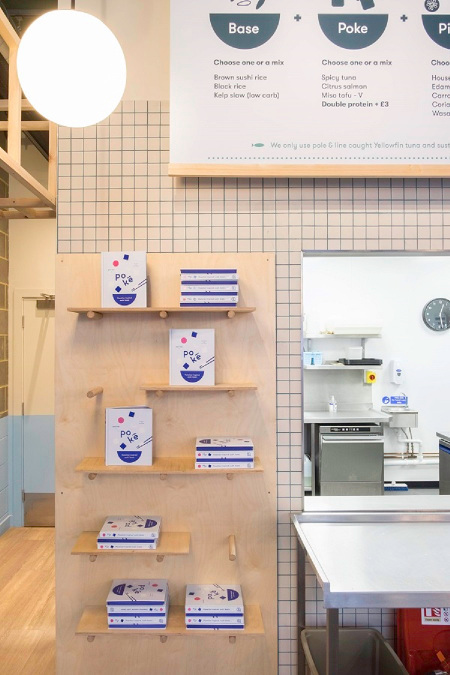 Celia Farrar the founder of the brand wanted to create the first permanent location for her brand - Polu Poke. Previously she had undertaken a series of pop ups & street food locations to promote the brand. She worked closely with the designers Brown Studio & her graphic designer in every aspect of the design to ensure it matched the aspirations of the brand. 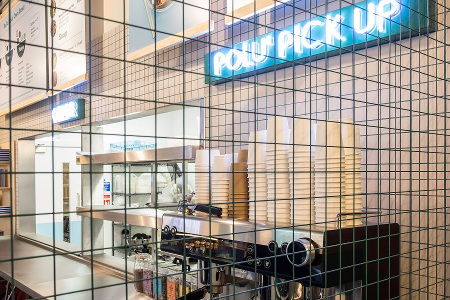 The overall look & feel is one of simple pop-up architecture in fresh & bright colours emblematic of the brand philosophy. 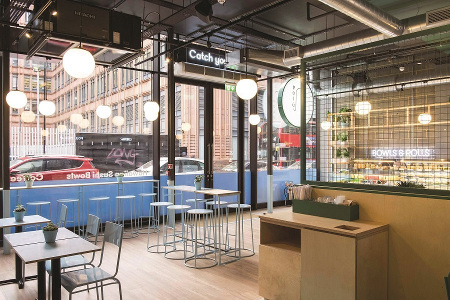 We've undertaken a number of low cost restaurant fit outs and this together with an understanding of brand elements helped alot. The restaurant is separated very simply between the main kitchen and servery and a dining area with the views into the kitchen being of prime importance. 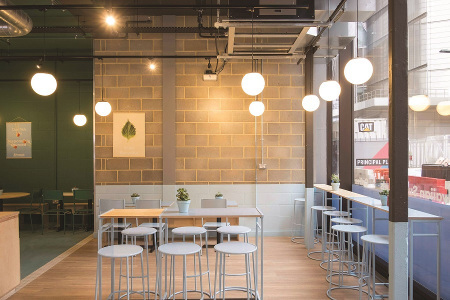 We used very simple materials - plywood, softwood with existing exposed surfaces retained and decorated we used simple colour blocking in some areas so for example the walls, concrete floor and ceilings were colour blocked to the brand colours, i.e. bold colours reflecting the bold flavours of the food. Its the very simple execution of the brand philosophy that we think makes this design work..simple colour blocking and lack of unnecessary detail.